Bathrooms- Sleeps 2-8 w/ Pool & Jacuzzi. 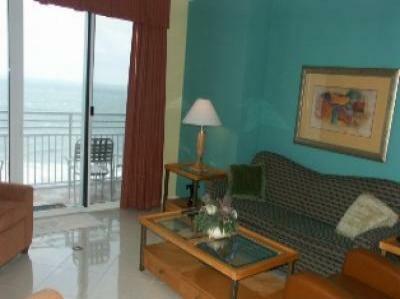 All rooms face the ocean! On Daytona's only Traffic Free Beach for all your beach activities. short walk to Daytona's night clubs! Across the street from the Ocean Center and Peabody Auditorium. 1.5 hours to Disney, Sea World, & Universal Studios. 1 hr to St. Augustine, the country's oldest city.